Le Vita, a collection of luminaires designed by Daniel Vila and Esther Pujol from Nahtrang Studio for Faro Barcelona, evoke the weight of gravity. 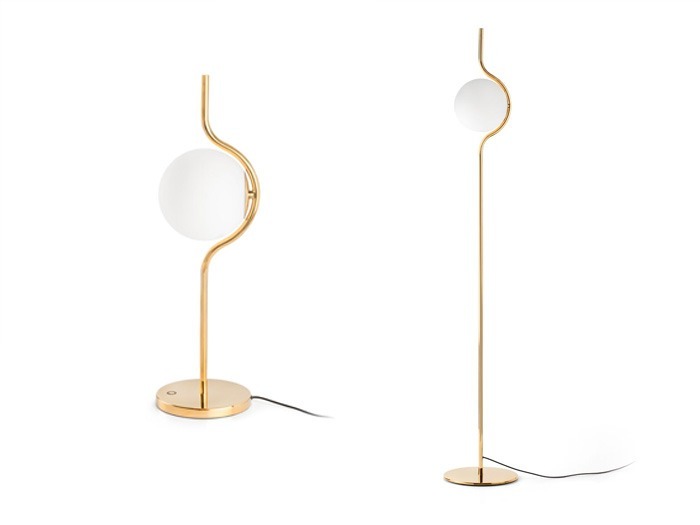 The simplicity of its design, the softness of its forms and the delicacy of its materials make Le Vita a lamp that illuminates any space, from sophisticated and luxurious to modern and contemporary. The fixture has an aluminium structure surrounding an opal glass diffuser and comes as either a floor or table lamp.